Dr. Andrew Dean, Lakehead University's Vice-President, Research and Innovation, left, and Dr. Ira Blevis, middle, Principal Scientist, Philips Healthcare Haifa, signed the memorandum of understanding. The collaboration was created under the Natural Sciences and Engineering Research Council of Canada CREATE Medical Imaging Detector Technologies program run by Dr. Alla Reznik, on the right. Lakehead University and Philips signed a memorandum of understanding (MOU) to create an internship program where graduate students can work in medical imaging at Philips Healthcare R&D Centre in Israel. The collaboration was created under the Natural Sciences and Engineering Research Council of Canada CREATE Medical Imaging Detector Technologies program run by Dr. Alla Reznik, Canada Research Chair in Physics of Molecular Imaging, Associate Professor at Lakehead University, and Senior Scientist with the Thunder Bay Regional Research Institute. “This agreement will provide four- to eight-month internships for PhD students who are involved in joint research projects,” said Dr. Andrew Dean, Lakehead University’s Vice-President, Research and Innovation. “These hands-on internships will benefit our students immensely by letting them experience what this technology can do and how it works,” Dr. Dean added. To prepare “employer ready” trainees equipped with both technical and professional skills, as well as skills required by the Medical Detector industry through working with industrial partners. To create the next generation of scientists and medical imaging researchers equipped with exceptional technical skills and an understanding of the path from an unmet patient need, to the development of a commercial product. Recognizing that innovation in healthcare does not occur in silos, the Thunder Bay Regional Research Institute has embraced the value of partnership. “By working with partners such as Philips and Lakehead University, as well as our community and government, we have been able to build a dynamic scientific ecosystem that brings together diverse knowledge and resources,” said Jean Bartkowiak, President & CEO, Thunder Bay Regional Health Sciences Centre and CEO of the Research Institute. "By coupling a patient-focused approach with a decisive market orientation, with the support of a network of partners, we have been successful in discovering unique solutions that are relevant to care providers and accessible to patients that need them most. Internships such as this, allow us to retain our youth and train them to be the next generation of scientists,” Bartkowiak added. The MOU was signed while Lakehead representatives were in Israel during Ontario Premier Kathleen Wynne’s tour of the Middle East. “I'm pleased that this agreement will create opportunities for Lakehead University graduate students in the Medical Imaging Detector Technologies program to gain hands-on experience working at Philips Healthcare in Haifa, Israel, through newly created internships,” said Premier Wynne. “International partnerships like this one and others signed during my first mission to the Middle East provide students with an opportunity to apply what they learned in the classroom to real-life experience in research laboratories, enriching the academic, social and cultural life of colleges and universities,” Premier Wynne added. Graduate students funded under the NSERC CREATE are encouraged to discuss potential internships with their supervisors and to apply to the PC with their CVs. For full details on the Internship program and how to apply, please visit createdetectors.ca. Lakehead University has about 9,700 full-time equivalent students and 2,000 faculty and staff in 10 faculties at two campuses in Orillia and Thunder Bay, Ontario. Lakehead is a fully comprehensive university: home to Ontario’s newest Faculty of Law in 44 years, the Northern Ontario School of Medicine, and faculties of Engineering, Business Administration, Health & Behavioural Sciences, Social Sciences & Humanities, Science & Environmental Studies, Natural Resources Management, Education, and Graduate Studies. Maclean’s 2016 University Rankings place Lakehead University second in Ontario and among Canada’s Top 10 undergraduate universities, and first among Ontario’s undergraduate universities for Total Research Dollars, Social Sciences & Humanities Grants, and Library Expenses. 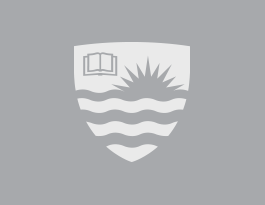 In 2015, Re$earch Infosource ranked Lakehead first among Canada’s undergraduate universities. Visit www.lakeheadu.ca. Thunder Bay Regional Research Institute – an independent, not-for-profit corporation – is the research arm of the Thunder Bay Regional Health Sciences Centre. Our scientists work closely with clinicians, medical professionals, and academic and industry partners to improve healthcare through excellence in patient-centred research focused on three molecular imaging-based platforms. Research is advanced through discovery and development of new technologies and processes that are brought to patients through clinical trials. With successful trial validation, discoveries proceed to commercialization for the benefit of patients everywhere. For more information, visit www.tbrri.com.